Random Costco news of the week. 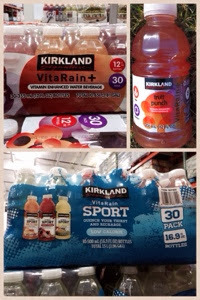 A law suit accusing Costco of misrepresenting Kirkland Vitarain, a bottled drink sold at Costco, was thrown out for the second time. The judge felt that a reasonable person would not conclude that the product was made out of rain and that there was no evidence the plaintiff read the nutritional label. This product is similar to Vitamin Water, and is sold back in the water section. It doesn't seem particularly healthy to me, but neither does Vitamin Water.